Malcolm Burgess, publisher of the City-Pick series, selects his favourite stories and essays set in the city. 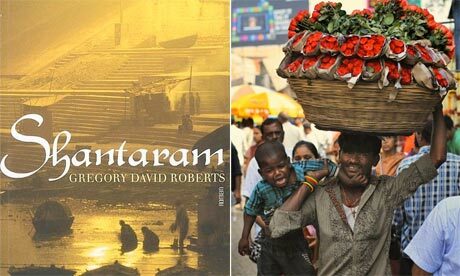 He says, Mumbai's extraordinary colour, energy and humanity are captured in some of the most celebrated writing of the past three decades. See the full Guardian piece here. The beautifully written but also very funny novel of a vanishing Mumbai. "Once a year, my mother Aurora Zogoiby liked to dance higher than the gods. 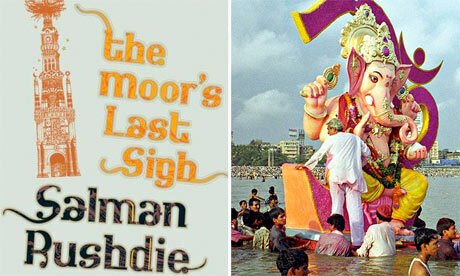 Once a year the gods came to Chowpatty Beach to bathe in the filthy sea: fat-bellied idols by the thousand, papier-mâché effigies of the elephant-headed deity Ganesha or Ganpati Bappa, swarming towards the water astride papier-mâché rats – for Indian rats, as we know, carry gods as well as plagues … There were, in addition, many Dancing Ganeshas, and it was these wiggle-hipped Ganpatis, love-handled and plump of gut, against whom Aurora competed, setting her profane gyrations against the jolly jiving of the much-replicated god." The compelling autobiographical novel of an Australian criminal who escapes to a new life in Mumbai. "The first thing I noticed about Bombay, on that first day, was the smell of the different air … it's the smell of gods, demons, empires and civilisations in resurrection and decay. It's the blue skin-smell of the sea, no matter where you are in the Island City, and the blood-metal smell of machines. It smells of the stir and sleep and waste of sixty million animals, more than half of them human and rats … It smells of ten thousand restaurants, five thousand temples, shrines, churches and mosques, and of a hundred bazaars devoted exclusively to perfumes, spices, incense and freshly cut flowers." 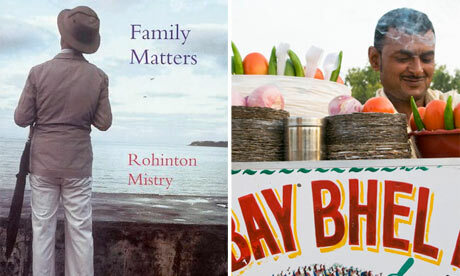 The moving story of a troubled Mumbai family, set against the backdrop of the city. "In the flower stall two men sat like musicians, weaving strands of marigold, garlands of jasmine and lily, and rose, their fingers picking, plucking, knotting, playing a floral melody. Kariman imagined the progress of the works they performed: to supplicate deities in temples, honour the photo-frames of someone's ancestors, adorn the hair of wives and mothers and daughters. It was all as magical as a circus, felt Kariman, and reassuring, like a magic show." 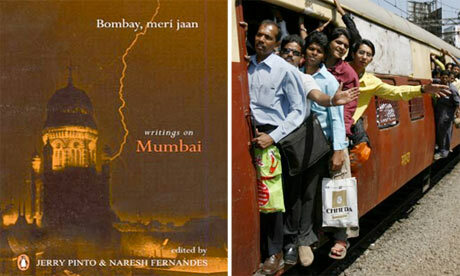 Fourteen brilliant stories set in contemporary Mumbai – shortlisted for the 2009 Commonwealth Writers' Prize. "To walk along the streets of Colaba and to be wooed by peddlers of all trades, all motives, always involves me with a measure of excitement … To sit in Café Leopold and watch the world go by; and to sit on the parapet at Apollo Bunder and see the sail boats tossed on the coruscating waters; to walk past Jehangir Art Gallery and see the drug addicts huddled over their foil … to walk along the Gothic colonnades of the Ballard Estate and relive the solidarity of a lost era of architecture; to walk along Marine Drive and see the couples, their backs to the city, their heads huddled, a universal sun casting its light on them." 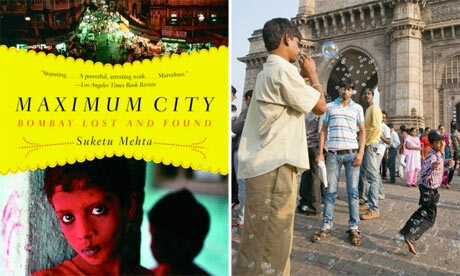 The definitive story of modern Mumbai in all its diversity and complexity. "The Gateway of India, a domed arch of yellow basalt surrounded by four turrets, was built in Bombay in 1927 to commemorate the arrival, sixteen years earlier, of the British king, George V; instead, it marked his permanent exit. In 1947, the British left their Empire under this same arch, the last of their troops marching mournfully to the last of their ships … Cities are gateways; to money, to position, to dreams and devils. A migrant from Bihar might one day get to America; but first he needs a spell in the boot camp of the west: Bombay, the acclimatisation station." 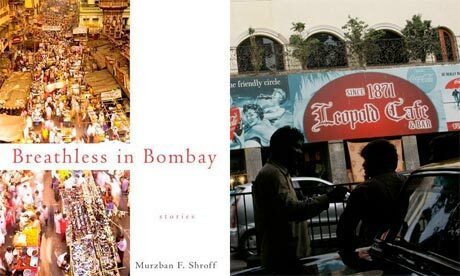 A wonderfully eclectic collection of essays on all things Mumbai. And at the moment of contact, they do not know if the hand that is reaching theirs belongs to a Hindu or Muslim or Christian or Brahmin or untouchable, or whether you were born in the city or arrived only this morning, or whether you live in Malabar Hill or Jogeshwari; whether you are from Bombay or Mumbai or New York. All they know is that you're trying to get to the city of gold, and that's enough. Come on board, they say. We'll adjust." 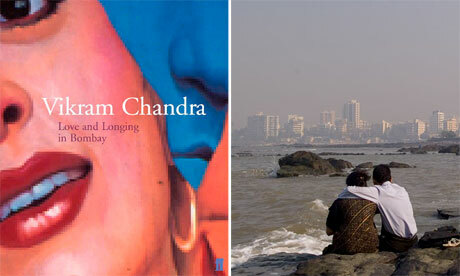 Five haunting tales set in modern Mumbai and India. I spoke at length about superstition and ignorance and the state of our benighted nation, in which educated men and women believed in banshees and ghosts. 'Even in the information age we will never be free,' I said." Horniman Circle is both the birthplace of the city and still a centre of business life – both celebrated in 21 fascinating essays. 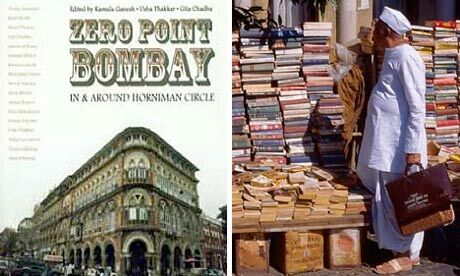 "From the iconic Strand Book Stall to the newly refurbished The Bookpoint, Horniman Circle must boast the biggest number of book stores anywhere in the country. The idea of opening a book shop came to TN Shanbhag, the owner of the Strand Book Stall, during a screening at the Strand Cinema. Having been humiliated in a reputed book store of the time for touching a book, the young Shanbhag wanted to start a book store where the access to Saraswati – the goddess of knowledge, music, arts and science – would not be restricted to the elite, but would be open to a wider section of the people. Shanbhag approached Keki Mody, the owner of the Strand Cinema, with his idea, and that is how the Strand Book Stall came into being on the premises of the cinema hall." 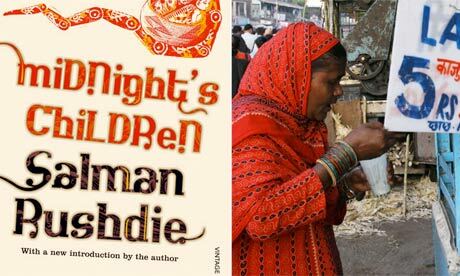 From one of India's most popular novelists, a hugely entertaining novel that opens up the world of the city's sprawling chawls, or tenement blocks. "Life in the chawls is a perpetual melodrama in itself. Large, mostly unhappy middle-class families packed in one building – not by choice, of course. Hence, there's a lot of scope for fights and quarrels over the slightest of things. Water is not a matter of quarrels but fully-fledged war. It turns housewives into warriors and water containers into missiles and cannons. Like in a small village, everyone knows everything about everyone else ... the prime mover is water. You snapped out of anaesthesia, interrupted coitus, stopped your prayers, postponed your son's engagement, developed incontinence, took casual leave to go down and stand at the common tap … cancelled going to church because water, present and absent, is more powerful than the Almighty." 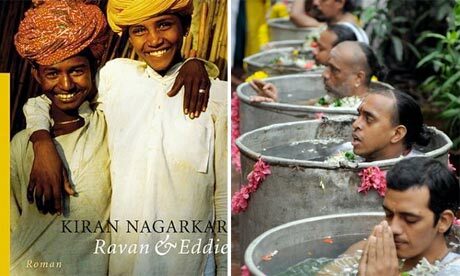 The epic story of Indian identity is also a glorious celebration of Mumbai itself. "The Pioneer Cafe was not much when compared to the Gaylords and Kwalitys of the city's more glamorous parts; a real rutputty joint, with painted boards proclaiming LOVELY LASSI and FUNTABULOUS FALOODA and BHEL-PURI BOMBAY FASHION, with film playback music blaring out from a cheap radio by the cash-till, a long, narrow, greeny room lit by flickering neon, a forbidding world in which broken-toothed men sat at reccine-covered tables with crumpled cards and expressionless eyes."